Homework Help: the Teen Library offers a variety of resources for middle and high school students at all locations and online. We have a dedicated collection of books covering science, math, technology, language arts, health, history, current events and more, as well as study guides for tests and exams. The Library’s website is your link to free learning tools and databases; visit the Research page for a full list of electronic resources or sort by topic, or visit the newly relaunched Digital Maine Library! 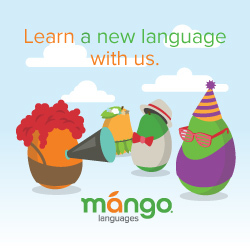 Some of our favorites: Mango Languages online language learning system (72 languages to learn including English), and Learning Express School Center, which covers all middle and high school subjects for self-paced learning and test practice. NEW January 2019: a dedicated after-school homework help program at the main Teen Library on Monument Square. Click here for more details! PPL Teen is offering free, drop-in homework help every Tuesday and Thursday during the Spring 2019 semester! Middle and high school aged students can meet up with one of our Homework Helpers at the Teen Library on Monument Square. Space is limited, and volunteers are available on a first come, first served basis. The Maine Digital Library has everything you need to get your school year started right! Our brand new resources have it all, from health and career information to reading recommendations and popular magazines, as well as easy-to-use research databases for any class or topic. LearningExpress Library™ provides a comprehensive selection of educational resources—including more than 800 tutorials, practice exams, eBooks—for basic skills mastery, academic success, job preparation, and career advancement.